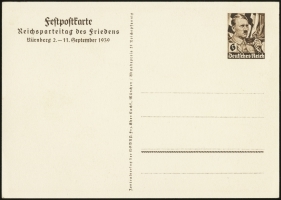 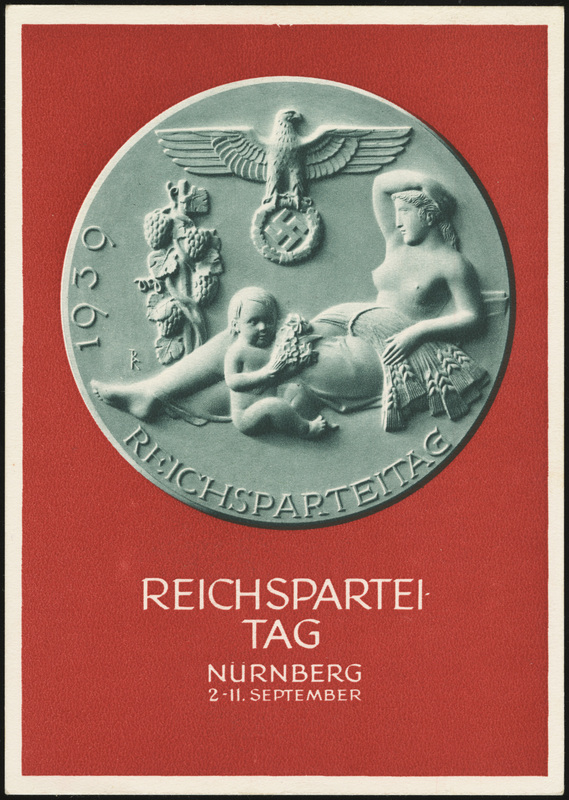 This card was issued on 25 August 1939 to commemorate the Nazi Party Rally in Nürnberg. 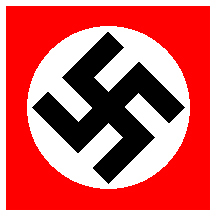 The stamp design is Hitler consecrating a Nazi Party flag. 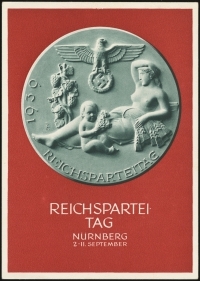 The reverse depicts a plaque representing “Mother Earth” with a cornucopia of abundance and plenty.